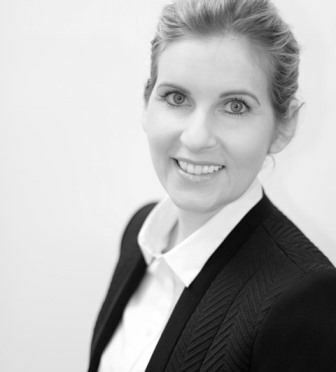 On 1st March 2017, Isabelle Groh has started as new Head of Marketing at HANRO and is globally responsible for all marketing activities of the luxury underwear brand. HANRO, one of the internationally leading producers of high-quality lingerie, nightwear and loungewear for women and men, has appointed Isabelle Groh as new Head of Marketing, starting from March 01, 2017. In her position, Isabelle is responsible for the entire global marketing and communication of the brand HANRO. She is reporting directly to HANRO‘s CEO Stephan Hohmann. Isabelle Groh brings with her a year-long experience in international communication, as well as comprehensive strategic and operational marketing knowhow. For the last five years, she was Marketing Manager for Central Europe at the Footwear and Clothing company Wolverine Worldwide and responsible for all marketing and communication activities of the brands Cat Footwear and Sebago. Prior to that, she had been working in an agency as project manager, consultant and key account manager for various B2C and B2B customers. Isabelle Groh follows the year-long Head of Marketing Anke Sohn, who had left the company end of 2016. HANRO’s premium underwear, nightwear and loungewear is internationally known for timeless elegance, natural wearing comfort and ‚Understated Luxury‘. HANRO products are available in almost 50 countries at the best shopping addresses worldwide, such as Harrods (London), Saks Fifth Avenue (New York) or Bon Marché (Paris). A portrait picture of Isabelle Groh is available for download here or below. Please do not hesitate to contact me in case of further questions. HANRO of Switzerland – Pure luxury on skin! HANRO is an international luxury brand for lingerie, daywear, nightwear and loungewear for ladies and men. Ever since it was founded in 1884 by Albert Handschin and Carl Ronus in Switzerland, the company has stood for Understated Luxury, natural elegance, and garments which are a pleasure and comfort to wear. HANRO products are marked by highest quality standards and excellent craftsmanship. The careful development of unique materials from natural fibers, ingenious designs and decades of tradition, combined with technical innovations, are what make HANRO such a distinctive brand. HANRO products are produced almost exclusively within Europe. In 1991, HANRO joined the Austrian Huber Group. Today, HANRO can be found at the most exclusive stores in almost 50 countries.